The iPod Shuffle is designed primarily for exercisers who need a very small, very light iPod with few features but enough storage to keep the music going during a workout. Because of that, the iPod Shuffle is very different from any other iPod model. It's tiny (shorter than a stick of gum), light (less than half an ounce), and doesn't have any special or advanced features. In fact, it doesn't even have a screen. That said, the Shuffle is a great iPod when it's used as intended. Read on to learn about the iPod Shuffle, from its history to buying tips, from how to use it to and troubleshooting tips. After 12 years on the market, Apple discontinued the iPod Shuffle in July 2017. With the increasing focus on the iPhone and its superior capabilities, it was only a matter of time before the Shuffle met its end (all other iPods except the iPod touch have also been discontinued). Even though there are no new models, the Shuffle still a great device for many users. Even better, it can be found both new and used for attractive prices. 1st Generation: This model included buttons on its face and a built-in USB port in its bottom. 2nd Generation: The Shuffle got smaller and squatter with this model, which came in multiple colors. 3rd Generation: A radical (and controversial) reinvention of the Shuffle. This model does away with buttons completely and was controlled by a remote built into the headphone cable. 4th Generation: A return to the form of the 2nd Generation nano, though it's smaller and lighter than its predecessor. The final iPod Shuffle before Apple stopped making the device. Memory: The iPod Shuffle uses solid-state Flash memory to store music. Headphone Controls: The 3rd Generation Shuffle had no controls on the body of the device itself and instead was controlled by a small remote on the headphone cord. The 4th Generation model added the buttons back but also responds to the remote on the headphone cord. Otherwise, the Shuffle has been unique for not including many things common to other iPods, like a screen, FM radio, and a Dock Connector. How can you find a cheap iPod Shuffle (other than buying used)? Should you buy an AppleCare extended warranty? 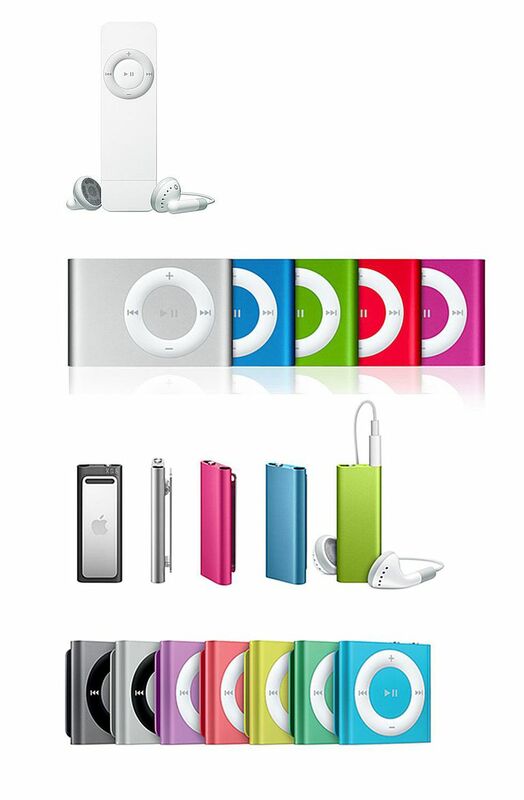 To help you in your buying decision, check out this review of the 4th Generation iPod Shuffle. Once you've made some playlists, you may have cause to wonder if shuffle mode is truly random. The answer is a lot more complex than you might expect. If you upgraded to an iPod Shuffle from another MP3 player, there may be music on your old device that you want to transfer to your computer. There are a few ways to do this, but the easiest is probably by using third-party software. This Shuffle model isn't like other iPods—it lacks a screen or buttons—and it's controlled in other ways, too. If you've got this model, learn to use headphone cord-based controls in How to Control the Third-Generation Shuffle. Understanding iPod Shuffle battery lights. If those don't help, you may want to check out your iPod Shuffle's manual for other tips. You’ll also want to take precautions with your Shuffle and yourself, such as avoiding hearing loss or taking steps to prevent theft, and how to save your Shuffle if it gets very wet. Later in its life, you may notice that the Shuffle's battery life starts to decline. When that time comes, you’ll need to decide whether to buy a new MP3 player or look into battery replacement services.